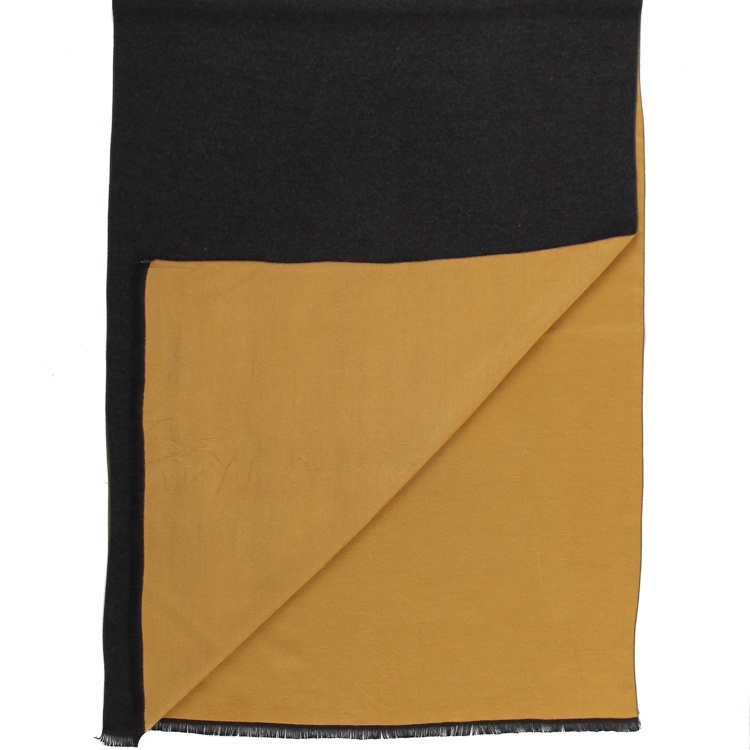 This men’s mustard and charcoal grey reversible scarf is bound to be super popular. Mustard and charcoal grey are two classic and smart colours when it comes to winter scarves and the option to style the scarf so that either side or both is showing means that the scarf is highly versatile. 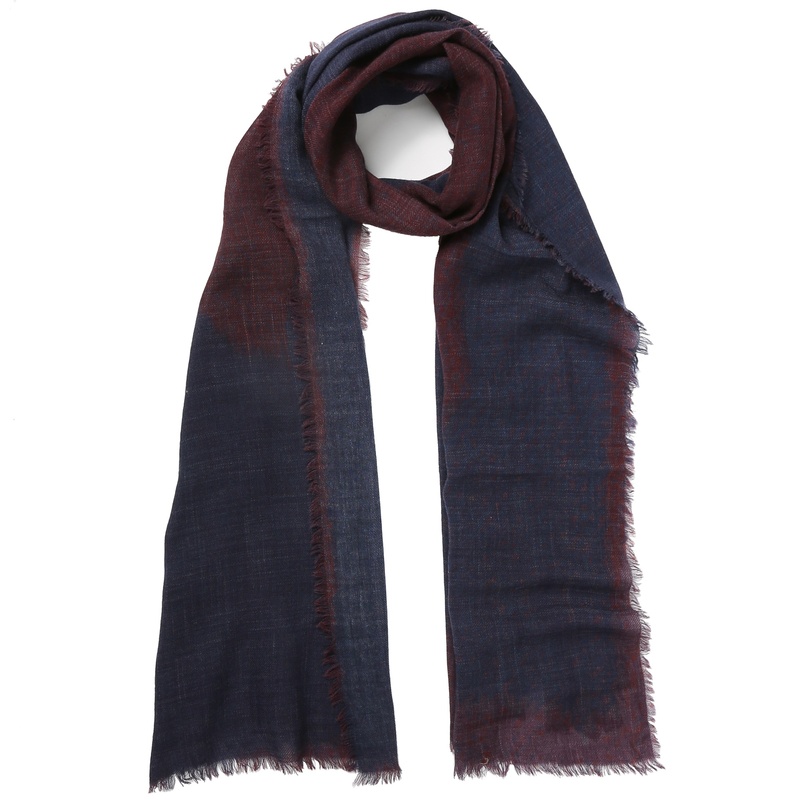 It is a scarf that works as well with a suit or overcoat in the city as it does out of town when paired with jackets and jumpers. 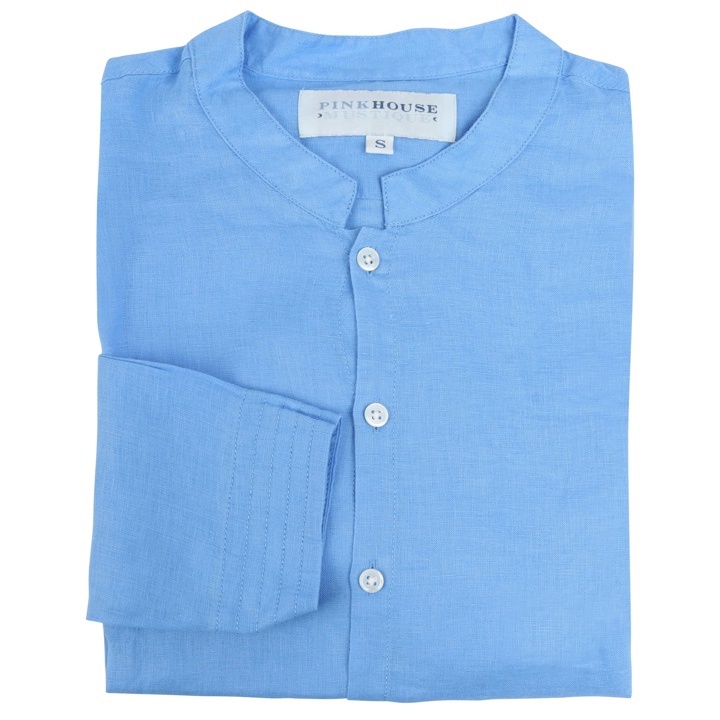 It is guaranteed to keep you warm and cosy while feeling incredibly soft and looking extremely smart. This scarf is also available in five other colours. 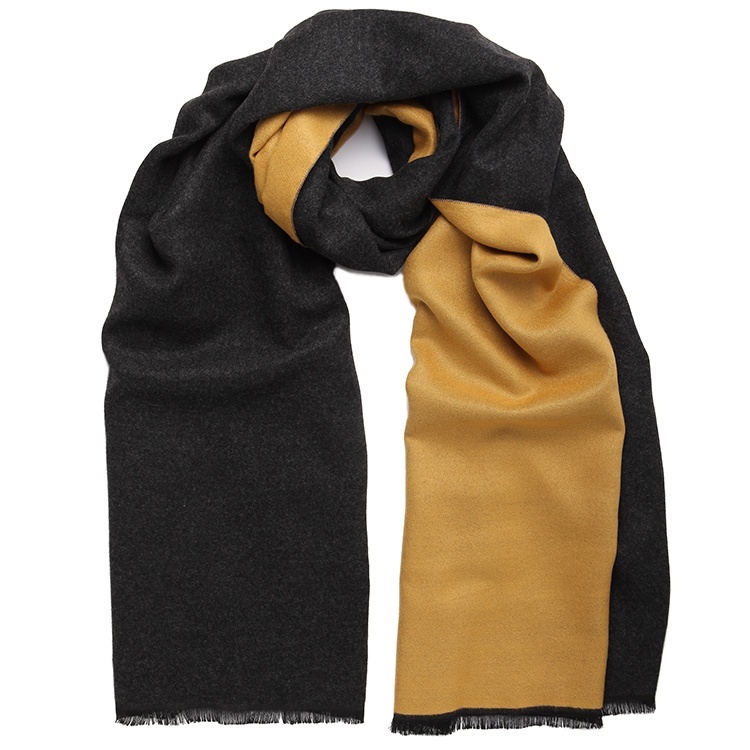 This men’s mustard/charcoal grey reversible scarf is bound to be super popular. 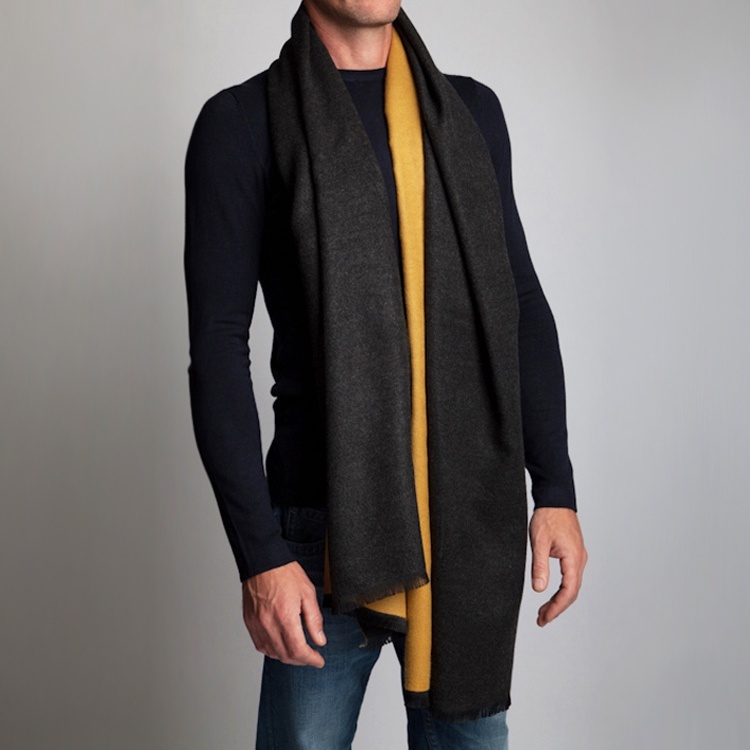 Mustard and charcoal grey are two classic and smart colours when it comes to winter scarves and the option to style the scarf so that either side or both is showing means that the scarf is highly versatile. It is a scarf that works as well with a suit or overcoat in the city as it does out of town when paired with jackets and jumpers. 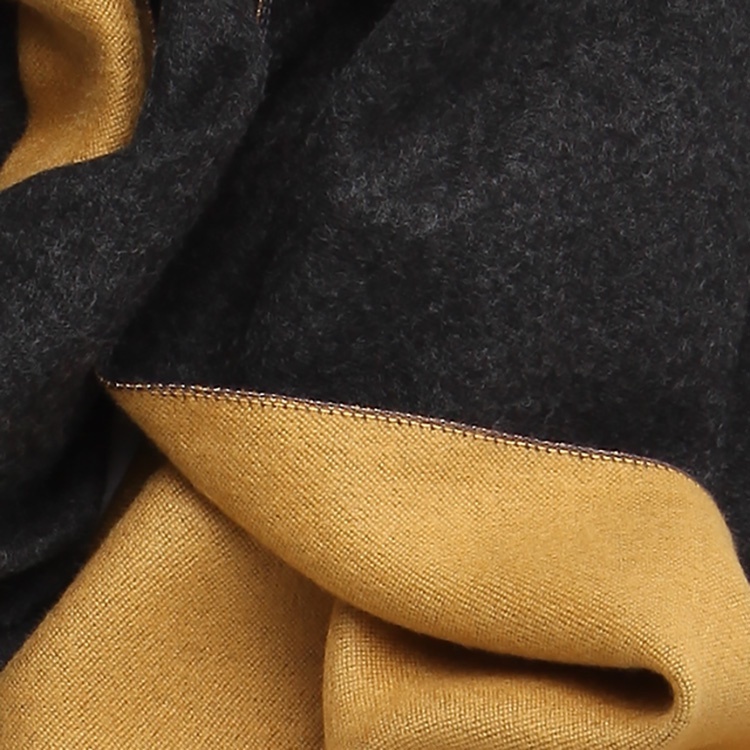 This men’s mustard/charcoal grey reversible scarf is guaranteed to keep you warm and cosy while feeling incredibly soft and looking extremely smart. This scarf is also available in five other colours. The Commuter Express scarf has been part of the CW collection since we started four years ago. Every year we design it in different colours and every year it has been our best selling scarf. It’s just the right length so you can wrap it once and knot it, but not too wide which helps reduce bulk. 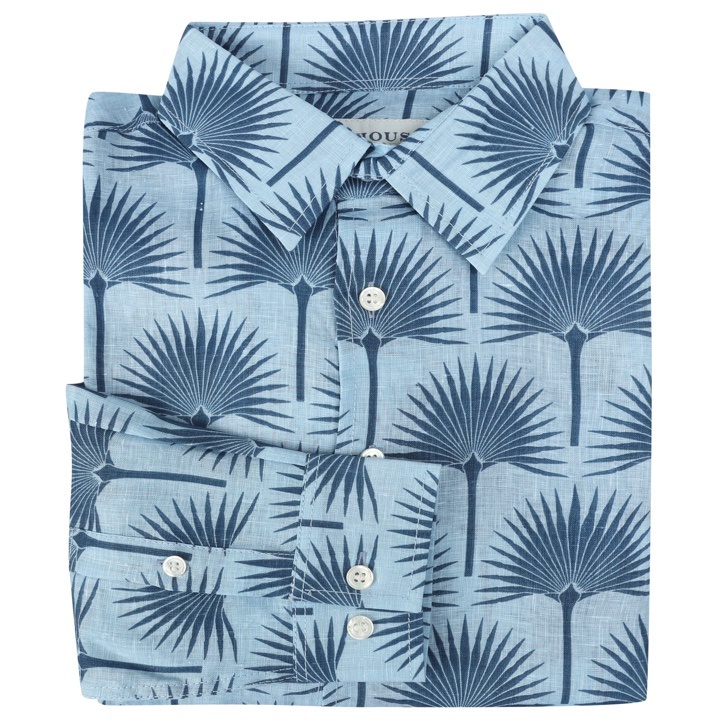 The combination of the incredible softness of the silk and wool blended fabric and the contrasting colours makes it a perfect gift for both men and women. All orders arrive beautifully gift wrapped in our bespoke packaging which is free of charge. Each scarf is wrapped in tissue which is sealed with our black and white CW stickers. The scarf is then placed in a premium quality charcoal grey box which is then tied with our colourful grosgrain ribbon which has our Cleverly Wrapped logo printed on it. So the scarf is Cleverly Wrapped and so is the wearer! All orders are dispatched within 24 hours and if you would like to send the recipient a message please leave it in the comments box during the check out process and we will attach a gift card. 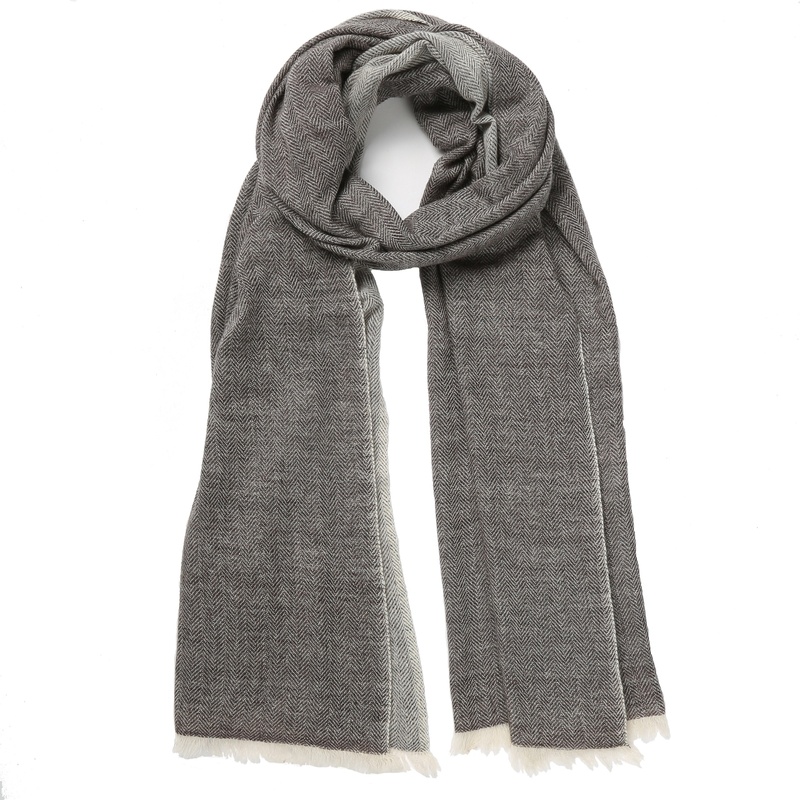 cleverlywrapped started as a luxury multi brand scarf boutique in September 2014. The concept was to source a mix of unusual and interesting scarves from designers worldwide that were not readily available on the high street. The brand targets scarf lovers who are looking for a carefylly collated scarf collection which has a mixture of price points and fabric choices, as well as those seeking the perfect gift that is one sized and arrives beautifully wrapped. As time has evolved we have started to design and produce some of our own scarves. The CW commuter express and the CW classic cashmere are our two best selling scarves. 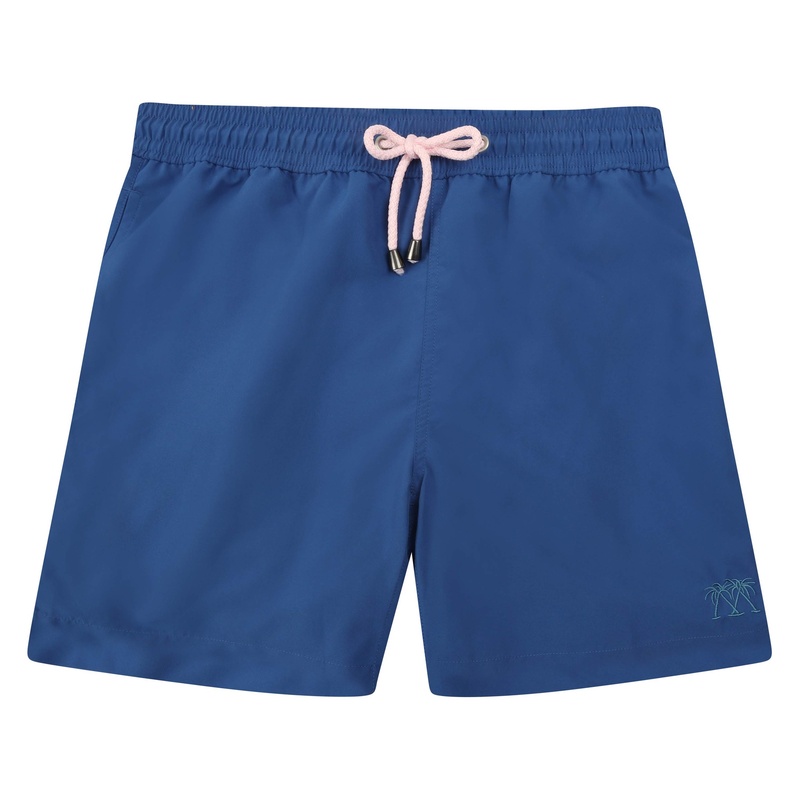 They are available all year round and the fashion colours change with the seasons. We pride ourselves on our fast and efficient delivery service. All of our orders are dispatched within 24 hours on working days. They will arrive beautifully gift wrapped with tissue in charcoal grey boxes that are tied with our bespoke grosgrain ribbon. If you prefer to receive them with no gift wrapping please just tick that box at check out. If you are ordering more than one scarf you will only be charged delivery once. This delivery is provided by the Royal Mail. If you or the recipient are not in to receive the package you will be left a calling card by the Royal Mail. These deliveries often arrive the next day but sometimes the day after. If you need to know that your parcel will arrive the next day then choose this option ( before 12pm) and we will either send it by courier or use the Royal Mail’s guaranteed next day delivery service. We offer a delivery service to any address in Europe which costs £9 per order and can take up to a week to arrive. This price does not include any import duties or local taxes for which the recipient is responsible. The parcel will be tracked and require a signature at the other end. We also ship parcels to most addresses outside Europe, which costs £12 per order and can take up to 10 days to arrive. This price does not include any import duties or local taxes, for which the recipient is responsible. If you would like to collect your delivery by hand then please just choose “ collect/deliver by hand” during the check out process. Please e-mail hello@cleverlywrapped.com or call the shop on 01264 810003 and we will assist. If the shop is closed please call Harriet on 07921826836.